Jungle Cakes are proud to present Karlixx, a leading DJ and producer from fast rising Spanish Jungle scene. After appearing on two Welcome To The Jungle albums, Jungle Cakes are excited to welcome Karlixx on his full, two track debut single. 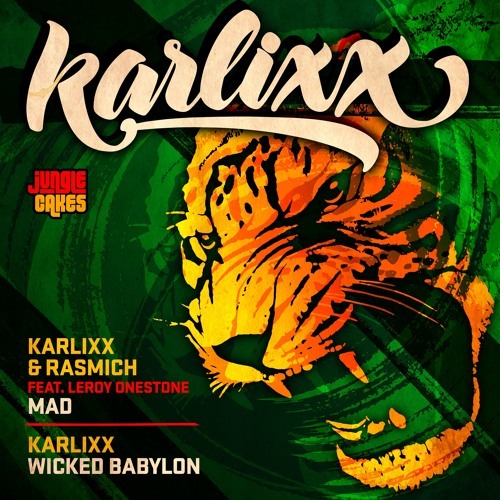 For the lead single ‘Mad’, Karlixx teams up with fellow Spanish producer Rasmich, and Reggae vocalist Leroy Onestone, originally from Grenada, and now also based in Spain. The result is an authentic Jungle roller meets Roots Reggae soundclash, that will bring some much needed sunshine vibes. On the flip Karlixx goes solo on ‘Wicked Babylon’ for a tougher, but equally groovy Jungle skanker. Buy this EP on Beatport here.